ESPN NBA reporter Chris Broussard is the poster-child for being careful with what information to trust in the age of social media. Because of multiple high-profile blunders, Broussard has become something of a punching bag for fans, fellow media members and even NBA owners. It could be his sources being well behind everyone else in the NBA or backtracking on his reporting and being called out for forwarding wrong information. 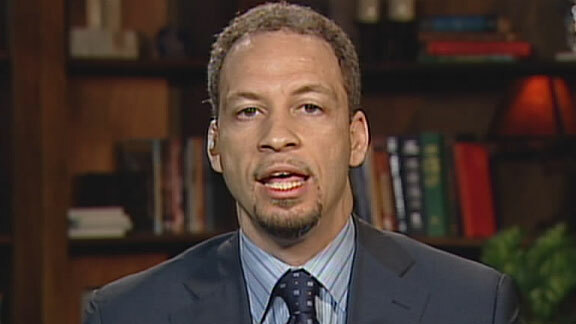 To put it bluntly, if there’s one national reporter that you would say, “I’m actually going to wait until someone else confirms this report until I believe it” it’s Chris Broussard. When your job is reporting, that’s not a good thing. There was even this follow-up tweet that said what a great deal it was for Thompson as if it was only a formality. It was done. The agreement was set. The question had been answered. Only 38 minutes later, Broussard didn’t just backtrack on his report that Thompson signed, he went in reverse and backed over its tattered remains. Broussard only said Thompson was willing to sign for those parameters and that nothing was actually agreed to. Sources: Tristan Thompson is WILLING to sign a 3-year, $53 million deal with the Cavs. Cavs have not yet agreed to the deal. And finally, some non-all caps clarification… I think. Chris Broussard’s Sources strike again. This is Exhibit A of how not to report breaking news. It took less than an hour to go to ALL CAPS BREAKING NEWS SCOOP to whispering “sorry, nothing to see here.” Turns out there may be some good reason to that as local reporters discounted Broussard’s attempt at scoopage. At this point, I wouldn’t be surprised if Broussard reported Thompson was going to go play professionally in Bulgaria next year and then backtracked and said, no, it’s actually Romania. Pingback: This Week In Hot Takes: Tony Massarotti says MLB players have "too much power"
Pingback: This Week In Hot Takes: Fox News' Jesse Watters says "There's no racism in football"